This interactive webinar is designed to help secondary school teachers teach climate science. 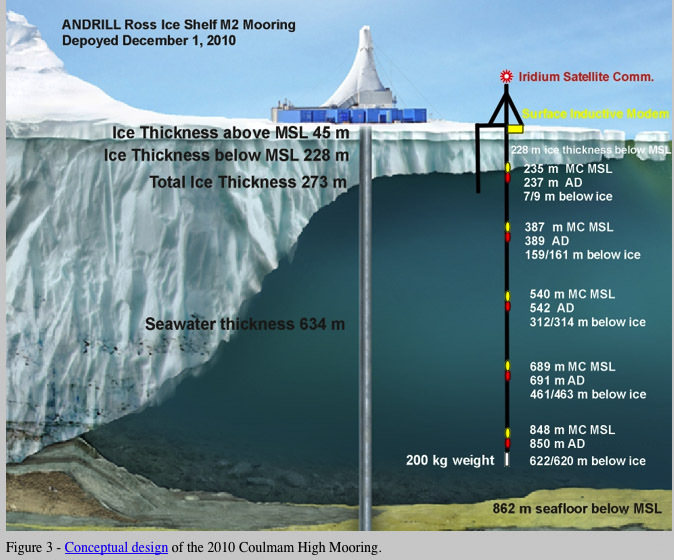 The content focus of this session is environmental observations and modeling from the perspective of ANDRILL scientists in Antarctica, which is part of Principle 5 of the Climate Literacy Principles. Goal - To understand how scientists collect historical data from natural records to document climate change in the past, and use models to predict changes in the climate system in the future. Resources from the CLEAN collection will be identified that teachers can use with students to understand how historical data and modeling tools help us understand the climate system. Dr. David Harwood is the Research Director at ANDRILL, and Professor and Stout Chair in Stratigraphy at the University of Nebraska Department of Earth and Atmospheric Sciences. His research interests involve studies of Cenozoic and Cretaceous paleoenvironments and paleoclimates of the southern high latitudes and Antarctic continent. Ms. Huffman is the Education and Outreach Coordinator at ANDRILL. After 34 years of teaching elementary and middle school, Louise traveled in 2002 to the Dry Valleys of Antarctica as a TEA (Teacher Experiencing Antarctica), where her work in and about scientific research in Antarctica began. *ANDRILL (ANtarctic geological DRILLing) is a multinational collaboration comprised of more than 200 scientists, students, and educators from five nations (Germany, Italy, New Zealand, the United Kingdom and the United States) to recover stratigraphic records from the Antarctic margin using Cape Roberts Project (CRP) technology. The chief objective is to drill back in time to recover a history of paleoenvironmental changes that will guide our understanding of how fast, how large, and how frequent were glacial and interglacial changes in the Antarctica region. Future scenarios of global warming require guidance and constraint from past history that will reveal potential timing frequency and site of future changes. Learn more about Climate Principle 5: Our understanding of the climate system is improved through observations, theoretical studies, and modeling.